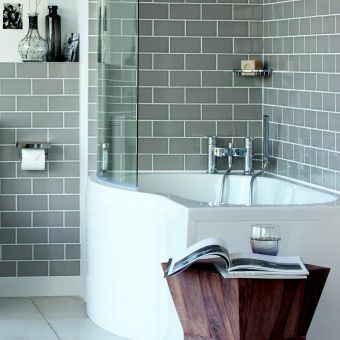 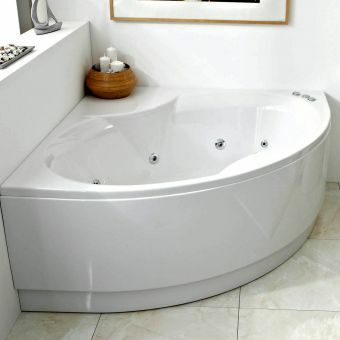 Those looking for a modern but elegant corner bath will love the Phoenix Nice Bow Fronted Corner Bath. 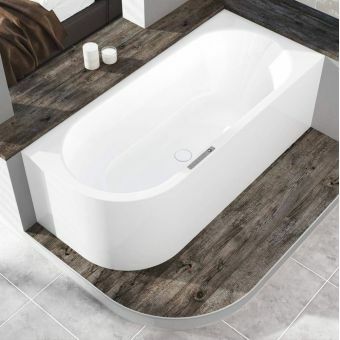 With a capacity of 270 litres, this bath measures 1400(l) X 1400(w) X 450(d)mm and carries a 25-year manufacturer's warranty. 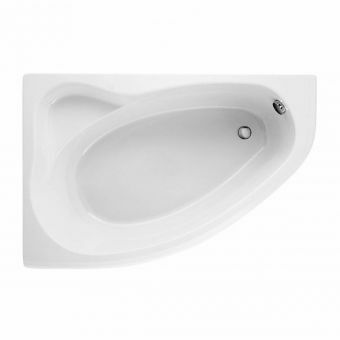 The base price includes the contemporary-styled curved wraparound front. 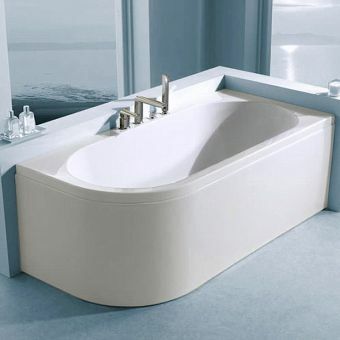 Optional extras that allow you to create the bath of your dreams include an inline heater and sensational colour underwater lighting. 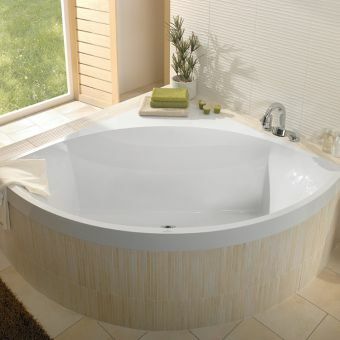 Customers wanting to upgrade to a whirlpool bath can enjoy features like directional jets and two airflow controls. 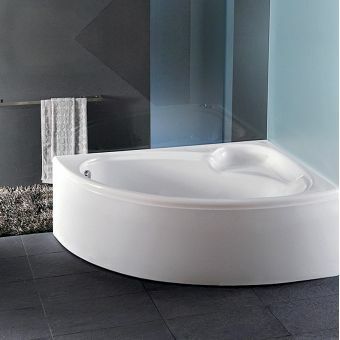 There is even an airpool option that features Airspa jets with a convenient on/off switch. 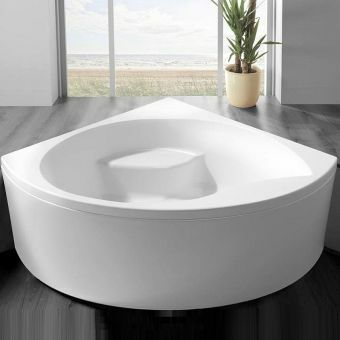 It is even possible to have the best of both worlds and combine both the whirlpool and airpool features for ultimate relaxation.